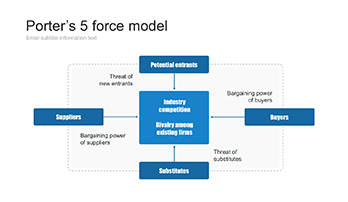 Analysis Porter 5 forces for business - Free Download Now! 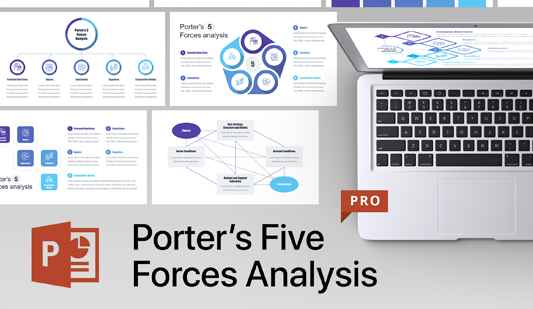 This section is devoted to the templates for the analysis of Porter’s 5 forces. Here, we’ve gathered all our slides that are designed to visualize the findings of this analysis. All elements represented here are unique and ready-made. Each template is distinguished by a clear unique structure and a creative design. 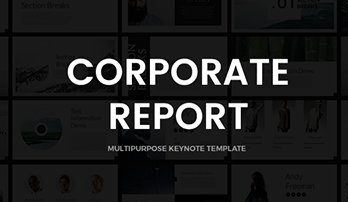 Users choose these templates to describe Michael Porter’s five forces analysis, for example, in business and marketing projects, reports, and presentations. 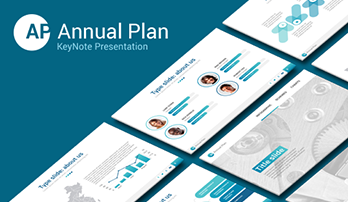 The slides perfectly visualize the results of the analysis, make the topic vivid and clear, as well as simplify the process of market situation considering. 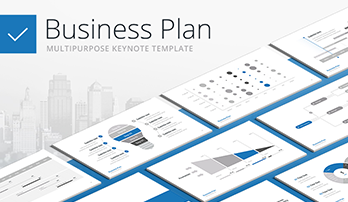 Besides, a high-quality unique template with a creative design draws attention and demonstrates a speaker’s skills. 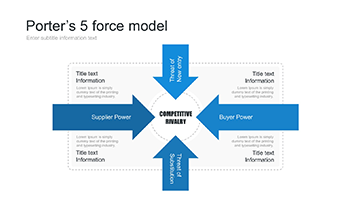 Porter’sanalysis is a marketing and business tool that makes it possible to analyze the competitiveness of a product on the market and find out possible threats. 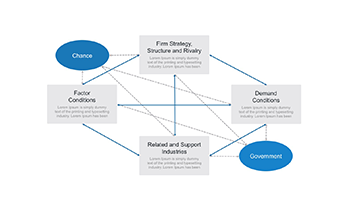 The use of Porter’s five forces analysis helps managers and office employees to be aware of the situation on the market and product’s stability. 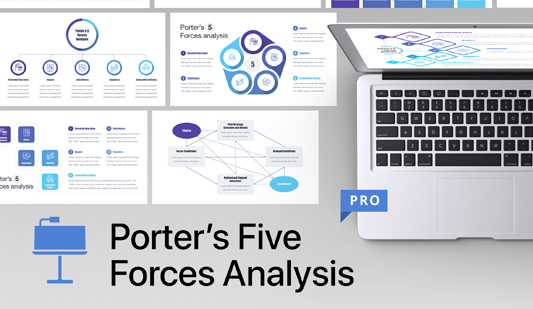 In our turn, we offer a convenient and helpful tool for considering Porter’s five forces analysis at meetings and conferences. We are sure that every user will find a suitable element among such a great diversity of templates.